I believe that people always look for nature potentially and desire to connect with it. That is why perhaps we have indoor house plants, arrange flowers, or go to the mountain and feel the nature. We merely want to have peace of mind by the nature. I think it is difficult to realize potential wants since we are surrounded by stuff and things nowadays. In the days with few stuff and things, people used to live with nature and connect with it more deeply than now. They felt the silence by loving moon and enjoyed small changes of four seasons. We can obtain coziness in the relationship with nature and the coziness is along with the nature. 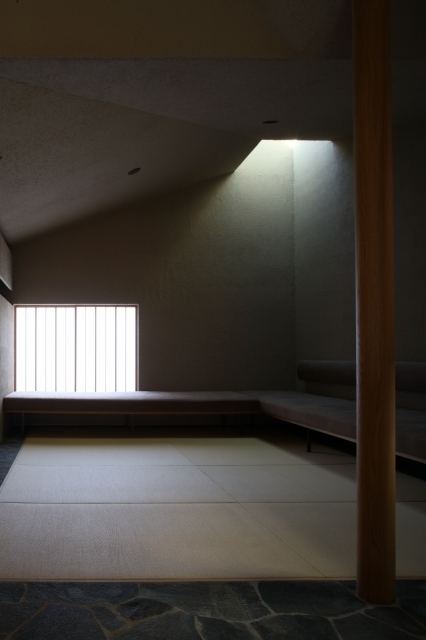 Such a space has healing and warmth, gives us calmness and peace, and opens our mind. Moreover, it produces energy for tomorrow. I believe that we instinctively look for such feeling in our house. Swaying trees, shadow of light, moistness and smell by wind, etc…The space together with nature embraces the whole body gently. It is like the sense of being embraced by nature. We feel again we are a part of nature for the first time. There are several ways of realizing our ideal space in our house and the ways are different depending on the designers. I try to see any problem obediently and select lucid solution, for I believe that universal beauty exists in the solution. We need to see the whole space constriction, the details, and other different problems, from a higher perspective. 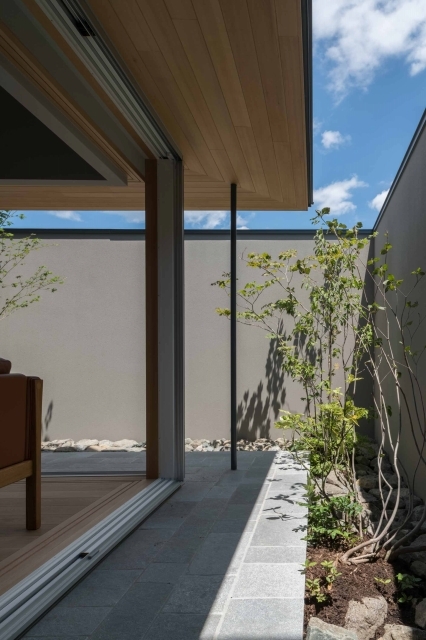 Window is the only part in house, which connects with outside. It can be comfortable place not only by considering security and heat loss, but also by enhancing the quality of the way of connecting with nature. 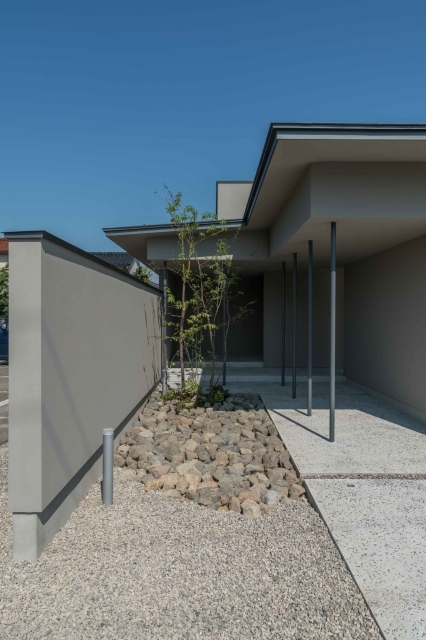 For example, I feel something wrong with using inorganic materials such as aluminum sash by the window that connects with green garden. After all, I would like to adopt wooden sash in the window. 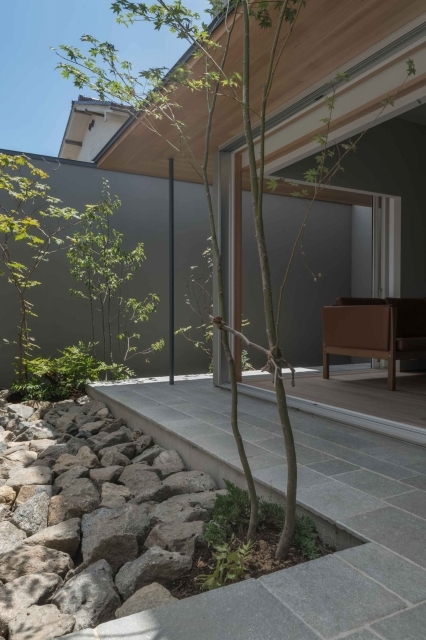 The atmosphere of natural materials like wooden sash is in harmony with the green and connects inside with outside gently. The flexibility of size and of opening and shutting is also a good point about wooden sash. Such window should fascinate inhabitants' heart, make them look outside, and bring them small discovery. We use natural materials as much as possible for interior finishing. 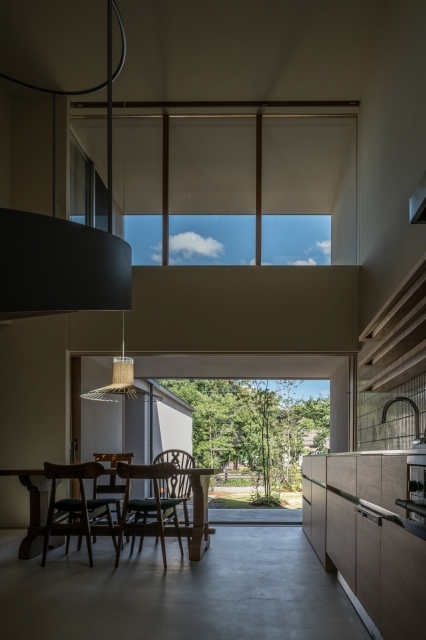 The natural materials such as wood, plaster, and Japanese paper are effective in regulating temperature and humidity. And, above all, the texture and appearance relieve and heal us gently. The real atmosphere created by the natural materials has depth over time, brings beauty by aging to the space, and looks high-class. I try to adopt "my comfortable dimensions" from my experience. In the case of Court House, which connects spaces and unifies them, I carefully decide width, depth, and height since they affect psychological distance. The psychological distance is their own territory that people feel comfortable. The way of deciding window dimensions is the same. 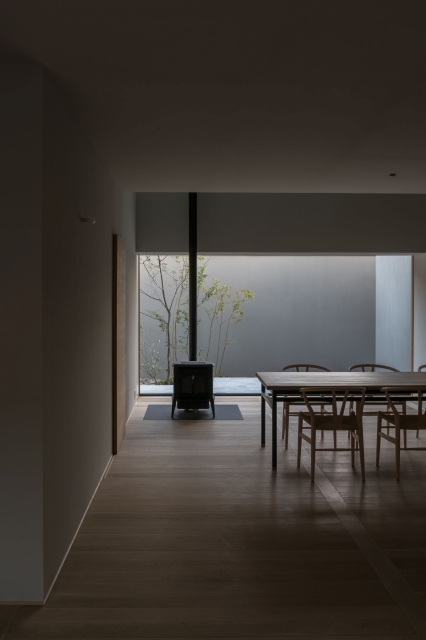 For example, we will feel comfortable by placing a bench at the space under the eaves by the window (veranda) and by creating the intermediate space. We will be drawn towards such window naturally. Although it is difficult to decide our comfortable spatial dimensions simply since they relate to different factors, we have to look for them relying on our experience and senses. It is important for designers to pursue the enrichment of functionality, materials selection, thermal environment, etc. However, I always seek what the designers really have to do other than those above. I aim for a house that enhances feeling power of the inhabitants and that enhances happiness and satisfaction of their life. The feeling power is such as refining the tastes of changing your daily small discovery to pleasure: feeling pleasure in the bud until yesterday blooming today, and in loving moon.